A Rochester woman was arrested and hit with three felony charges for reckless homicide after hitting and killing three siblings in Indiana. The crash took place on Oct. 30 in Fulton County. 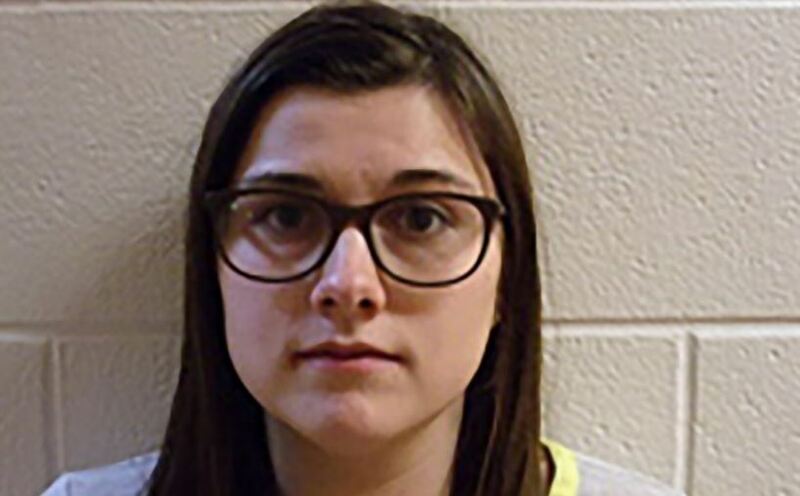 A school bus driver stopped and put on the bus’s lights and stop arm as he was picking up children; the children crossed the road to get to the bus, but were struck by a pickup truck driven by Alyssa Shepherd, 24, the Indiana State Police said. Xzavier Ingle, 6, Mason Ingle, 6, and Alivia Stahl, 9, all siblings, died after being hit. A fourth child, 11-year-old Maverik Lowe, was flown to a hospital to undergo emergency surgery. Police officers said that Shepherd ignored the bus’s lights and stop arm and tried to speed past the vehicle when she hit the children. In addition to three felony charges for reckless homicide, she was charged with one misdemeanor count for passing a school bus, with the stop arm extended, causing injury. If found guilty, she could face up to 18 years in prison, reported ABC 57. Shepherd was arrested at her workplace in Rochester on Oct. 30 at around 4 p.m. and was released later Tuesday on a $15,000 bond. She spent her career working with children, most recently as children’s director at Faith Outreach Center in Rochester, reported the South Bend Tribune. She also worked as a cheerleading coach at a public school and at a gymnastics school and a summer camp. The family of the dead children was left devastated by the loss. “He didn’t lose one kid, he lost all of his kids,” the children’s uncle Elgin Ingle, referring to their father and his brother, told Fox 59. “What do you tell your little brother, how do you tell your little brother it’s going to get better? You can’t,” he said. “You’re supposed to be able to go to your bus stop and be safe, you’re supposed to get on the bus and be safe,” Elgin Ingle said. The children’s father was at work at the time of the crash and had to rush home to identify his children, the great-aunt of the children, Pamela Pugh, told the Tribune. A fundraiser for the family on the popular GoFundMe website has raised over $37,000 in less than a day as of Wednesday morning.